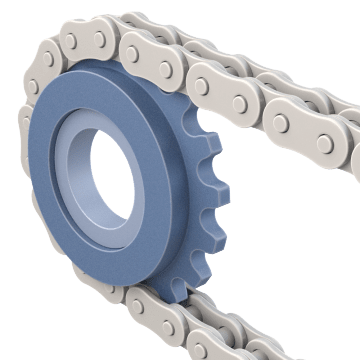 Install idler sprockets in your chain drive system to maintain tension on roller chains and guide the chain around obstacles while preventing vibration and wear on the chain. 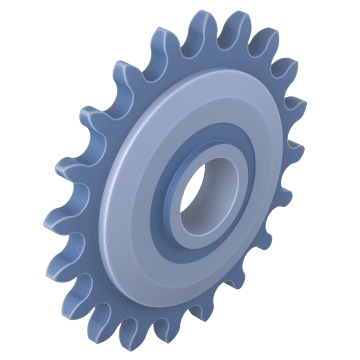 They contain a bearing that supports the idler as it rotates on the shaft. 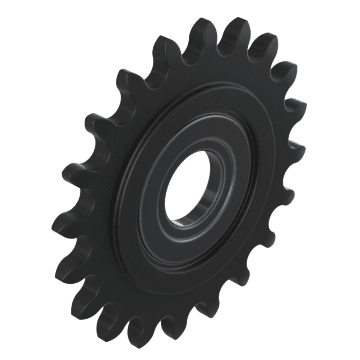 Lightweight, corrosion-resistant nylon sprockets are typically quieter than metal sprockets and don't require lubrication. 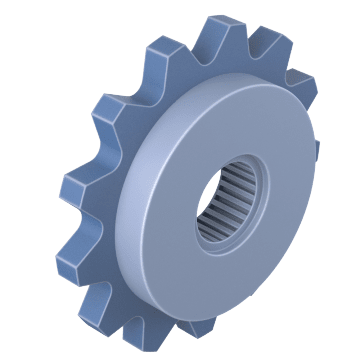 These idler sprockets contain a ball bearing that produces less friction and generates less heat during higher speeds than roller bearing idler sprockets. Idlers with roller bearings can tolerate heavier loads than ball bearing idler sprockets.